Happy New Year! It's not only time for another monthly family goals printable for you - it's also the start of a brand new year! I'll be sharing more on my goals for the coming year later, but I wanted to get this printable posted for you so you can use it to set your family's goals for January. I can't believe it's been a full year of sharing these printables! If you'd like to print ahead for the whole year, you can find all the monthly goals printable sheets in the Printables tab at the top of this page. To download a copy for your family, click here. It's a new year and if you haven't set family goals in the past, it's a brand new opportunity to set some! Have a family meeting and discuss what you'd like to accomplish this month and write down your ideas on this printable. It's a great way to help you live more intentionally! Last year I was sick most of December so I wasn't able to post about how I organize things for Christmas or all the fun things we do at Christmas, while keeping the season simple. But I made up for it this year :) I had so much fun sharing so many Christmas posts with you last month! If you've missed any posts last month, you can read all the December posts here. Last month, I set 3 goals for the blog. And I'm happy once again to say I achieved all 3 of them! I shared tips to help you declutter before Christmas, I posted Christmas organizing ideas to help you have a simpler Christmas, and I wrote 2 Organizing Ideas for the Weekend posts. What's Coming Up In January On The Blog? I'm expecting I'll be busy with my professional organizing business in January, as many people like to start the new year getting organized. So I'm going to keep my blog goals pretty simple this month. 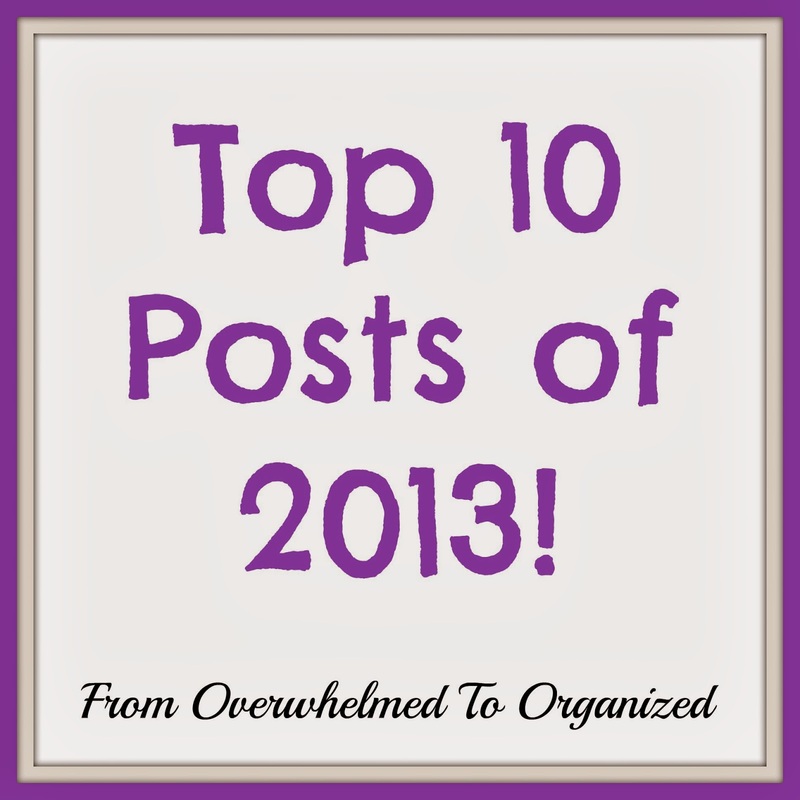 If you missed it, here are the top 10 posts of 2013! 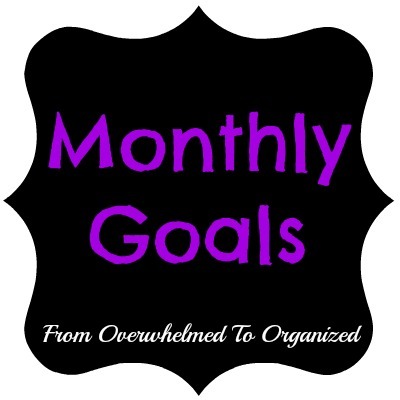 So, what are your family, personal, or blog goals for January? 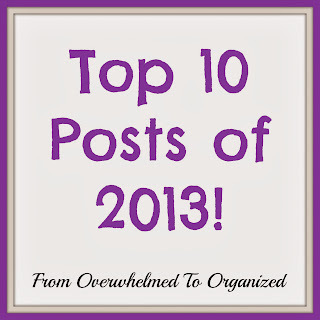 How are you getting organized for the new year?